We live in an age with so much advertising onslaught in our field of vision, that even exciting brand ideas can get lost in the noise. In the race to be noticed/funded, brands are only ending up trying to be bigger, better, faster, hotter, or any other '-er' word you can think of. And every once in a while, an organisation comes by, with a fascinating idea and its heart in the right place. And we, at People Design & Communications, are lucky that they came by, in our general direction. MonkeyBox was born out of the idea that parents as much as they desire, find it really difficult to make school lunches healthy & exciting for the kids. MonkeyBox is a revolutionary service that plans and prepares delicious, nutritious food for children, and delivers them to kids at school. With a team of nutritionists, 5-star chefs & experts from the restaurant business, MonkeyBox, as a brand was clear about the strengths & the value they had on offer. The most enduring, evocative communication campaigns are built on consumer insights. And with a service like MonkeyBox, we had to sit down and observe how the parents & school kids experienced MonkeyBox. We had to steer clear of "selling" the brand benefits. Startups usually fall into this trap - of assuming the consumer would want a product/service merely because it didn't exist before. That hardly happens. A brand becomes relevant only when it fits into an existing consumer need. MonkeyBox had already begun operations in South Bangalore, fine-tuning the process of preparation & delivery. It was ideal, because it gave us an opportunity to talk to parents & kids, and understand how MonkeyBox mattered to them. And we did it over time. 3) Kids were enjoying showing-off this service that was off-bounds even for their parents. 4) Parents were more trusting of MonkeyBox, now that the food had passed the litmus test of their kids. 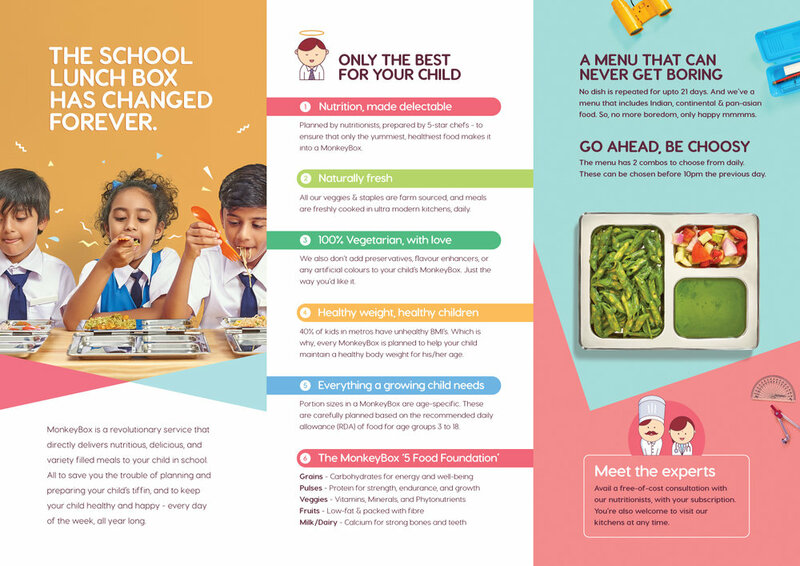 MonkeyBox is a specialist in preparing healthy, yummy meals for kids and delivering them to school. Only. So the only way to eat a MonkeyBox is if you were in school, and were....a child. This idea is campaignable and throws open exciting stories across media, including Press, Outdoor, Radio & Film. 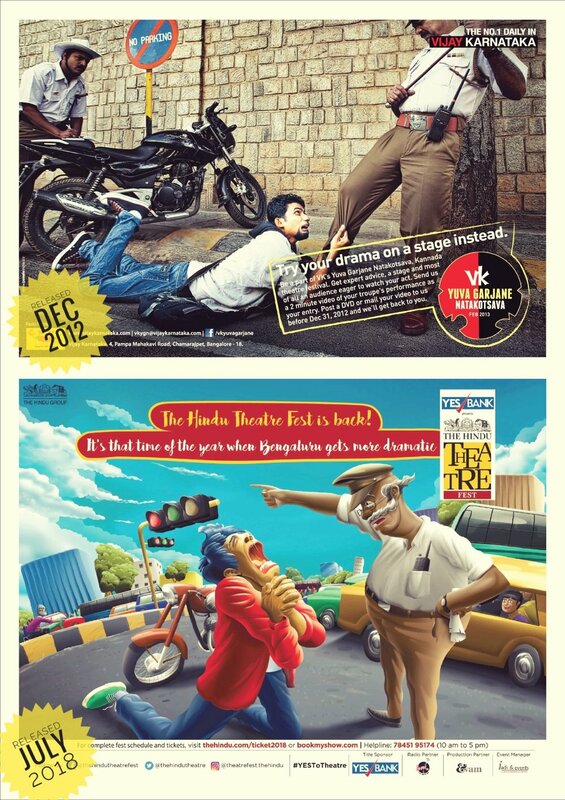 MonkeyBox launched with a radio campaign across 2 stations in Bangalore. Playing off the same campaign thought, the 2 radio spots stood out for their entertainment value & the clear hook - Sorry Dads & Mums, MonkeyBox is only for your kids. MonkeyBox achieved its target number of app downloads, in just 2 weeks of this concentrated radio campaign. At the time of hitting publish, MonkeyBox is at the threshold of launching services all across Bangalore, a new radio campaign ready to go live, a rich digital & social-media campaign, and a press and outdoor campaign standing by to explode.